Exercising and laundry are two of my least favorite words. I know both need to be done. Still, I lack the motivation to complete either on a daily basis. I needed something to create a spark. Let's just say, Purex and Jockey were the driving forces. I have a slight obsession with Purex Crystals. It's the only fabric softner I'll use for my clothes. You may have noticed there were only two scents on the store shelves for awhile– Lavender Blossom and Fresh Spring Waters. Now, the Purex Crystals family is saying, "Hello Yellow" all over again. Welcome back, Tropical Splash! If you want to find out if your local store carries the newest scent, use the Purex Crystals finder to locate this product. I can attest to the lasting freshness of Purex Crystals. They make you want to wear your freshly-laundered clothing because they make your clothes smell that good. I've even been guilty of putting a few in a jar and creating my own air freshner to liven up a room in the house. Some odors are harder to get rid of than others. For those who love to exercise/workout/run, it is common to have not-so-fresh clothing on after sweating. It's one thing for your deodorant to breakdown, but who says what you're wearing has to stink too?! Not Purex Crystals. This means the wicking technology found in Jockey's Tech Terry sports bra will not be compromised. You can have a sports bra that looks good and smells good. Sounds like a win-win situation to me. The bra I am wearing in the video is a size medium. I am normally a full C-cup. I would suggest going up a size just to be sure it fits correctly. I felt like I was spilling out a bit and did not want too much cleavage. 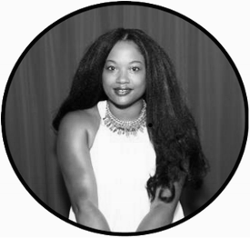 However, if you have a bigger bust and want as less bounce as possible, a more snug bra may work for you. Right now, you can receive a 20 % off coupon for a Jockey sports bra by visiting www.Purex.com/Jockey. If you want to try your luck at winning the same products I was sent to review, here's a giveaway for you! 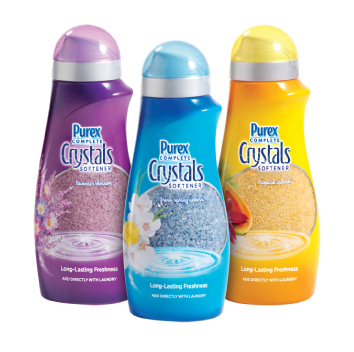 Have you tried Purex Crystals before? If so, which scent? If not, what scent would you like to try? Ends 1/15/2012 at 11:59 PM EST. Open to US residents, 18+. Must leave a valid form of contact, preferably an email address. Complete the required entry before any additional entries. Winner will be chosen using Random.org. Once contacted, the winner will have 48 hours to confirm. Good luck! As a Purex Insider and member of the Jockey Inner Circle, Jockey and Purex provided free samples of their products so I could review them. However, all of the opinions expressed here are my own. 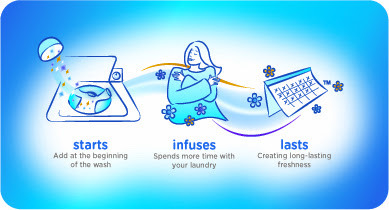 Want an invite to become a Purex Insiders? Send an email with the subject line, "Purex Insiders Request" and I'll send an invite to the first 5 people who respond.